Initially, the town of Lwów was not to be defended as it was considered too deep behind the Polish lines and too important to Polish culture to be used in warfare. However, the fast pace of the German assault and the almost complete disintegration of the Polish reserve Prusy Army after the Battle of Łódź resulted in the city being in danger of a German assault. On September 7, 1939, general Władysław Langner started to organise the defence of the city. Initially the Polish forces were to defend the Bełżec — Rawa Ruska — Magierów line against the advancing German forces. General Rudolf Prich was given command of the Polish forces in the area and on September 11 he prepared a plan of defence of the area. The Polish units were to defend the line of the San river, with nests of resistance along the Żółkiew - Rawa Ruska - Janów — Gródek Jagielloński line. The following day the first German motorised units under Colonel Ferdinand Schörner arrived to the area. 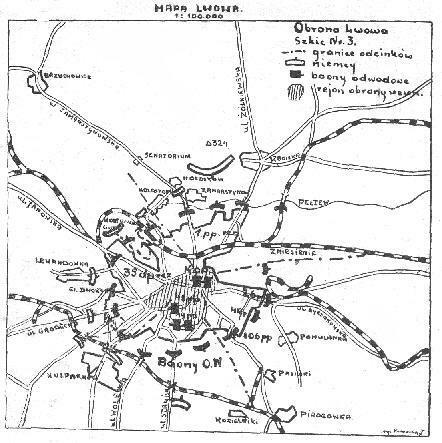 After capturing Sambor (some 66 kilometres from Lwów), the German commander ordered his units to break through the weak Polish defences and capture the city of Lwów as soon as possible. The German assault group was composed of two motorised infantry companies and a battery of 150 mm guns. The group outflanked the Poles and reached the outskirts of the city, but was bloodily repelled by the - numerically inferior - Polish defenders. The Polish commander of the sector had only three infantry platoons and two 75 mm guns, but his forces were soon reinforced and held their positions until dawn. The same day the command of the city's defence was passed to General Franciszek Sikorski, a World War I and Polish-Bolshevik War veteran, and brother of General Władysław Sikorski. The following day the main forces of Colonel Schörner arrived and at 14.00 the Germans broke through to the city centre, but were driven back after heavy city fighting with the small infantry units formed of local volunteers and refugees. To strengthen the Polish defences, on September 13 General Kazimierz Sosnkowski left Lwów for Przemyśl and assumed command over a group of Polish units trying to break through the German lines and reach the city of Lwów. The 1939 German-Soviet nonaggression agreement (the Molotov-Ribbentrop Pact) transferred most of western Ukraine from Poland to the U.S.S.R. 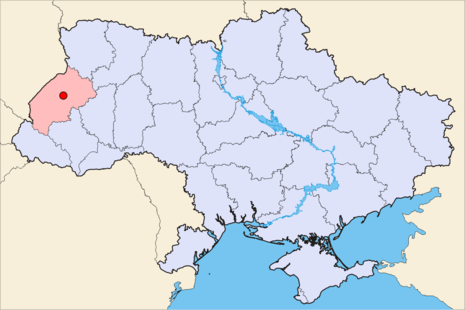 This transfer - against the will of its residents - marked the first time in its long history that Lviv was ruled by Moscow. The take over of the Red Army put a stop to Ukrainian cultural and political activity and ushered in a climate of severe repression, including mass arrests and executions.